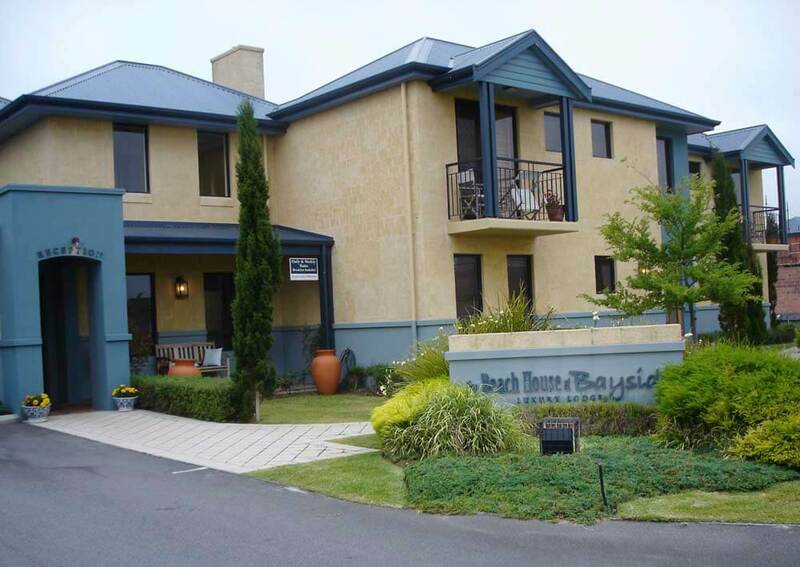 The Beach House At Bayside is a small luxury boutique hotel offering privacy and comfort in luxurious surrounds. The house is furnished with a European influence and features contemporary works by local and international artists. The property offers luxurious Main House Rooms, open plan Colonnade Wing Rooms with a private balcony or a courtyard and a two storey Garden Suite. The Main House offers two charming rooms with spacious showers. The Colonnade Wing comprises of four spacious, open plan rooms accessible from the main house via a vine-covered colonnade. All rooms have king beds, showers, double spa baths and sitting areas. Ground floor rooms offer private courtyards and first floor room’s benefit from views of the nearby islands. The Garden Suite is overlooking the paved terrace and has a luxurious king bed upstairs and a spacious downstairs lounge area with a private courtyard. They don't serve dinners at the property, however, a choice of award winning wineries and restaurants are only a short drive away.